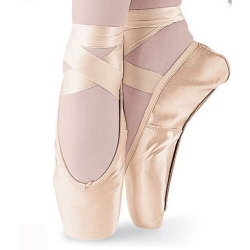 It is recommended that you add 1 size to your normal UK shoe size for these shoes. 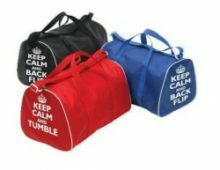 Equivalent adjustments should be made for international sizes. 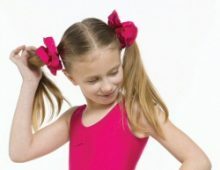 If you are in any doubt about which size to choose please call us on 01292 261458 or email us at enquiries@dancewearuniverse.co.uk and we will be happy to provide advice. The sizing chart below is intended as a general guideline when converting from UK to European and US shoe sizes. 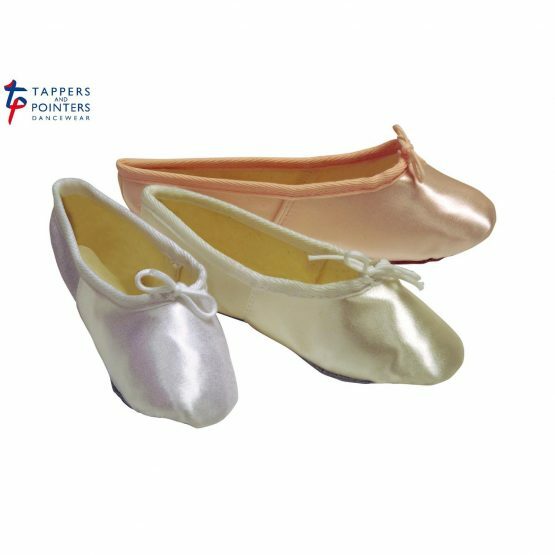 Tappers and Pointers Satin Ballet Shoes are top quality full sole ballet shoes made in the UK and come highly recommended by us. 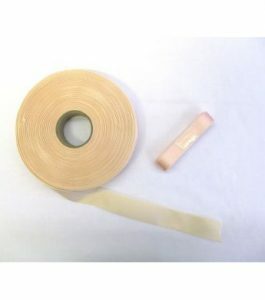 Elastics provided. 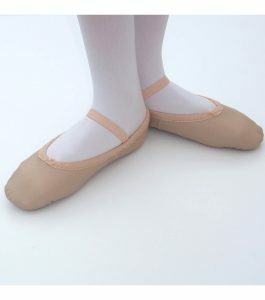 Satin ballet shoes are used in ballet exams and are also popular as Bridesmaids shoes. 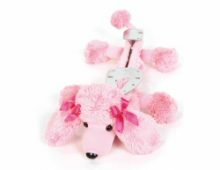 Available in Pink Satin, Ivory Satin or White Satin. 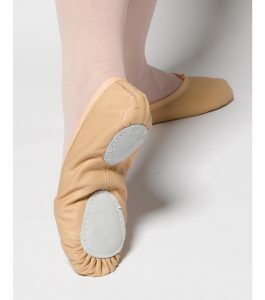 Pink Satin Ballet Shoes are also available in Wide Fit.